Mills has no formal policy for political endorsements. The purported endorsement by Mills College of Measure AA: Oakland Children’s Initiative during the recent November elections has brought into question the College’s policy, or lack thereof, on political endorsements and the people authorized to speak on behalf of Mills in such a capacity. Mills must adhere to IRS guidelines for political endorsements and lobbying as a tax-exempt 501c3 nonprofit organization that accepts millions of dollars in federal funding. Despite the Financial Stabilization Plan (FSP) that includes prioritizing developing new partnerships and programs in the Bay Area, Mills has not had an official policy detailing how or what it means to support and/or endorse local political initiatives. The College’s endorsement of Measure AA appears to be a misunderstanding between Vice President for Strategic Partnerships Renée Jadushlever and the measure’s management. In July of 2017, Jadushlever was promoted from chief of staff and vice president for communications and external relations to vice president for strategic partnerships. Her responsibilities include determining opportunities and building partnerships to raise Mills’ visibility throughout the Bay Area. The narrative surrounding Measure AA has changed and varied throughout the past three months, since October 2018. The following timeline has been ascertained though emails, interviews and documentation from Mills’ administration, the campaign and the City of Oakland. As a result, Jadushlever signed up to attend the Oakland City Council meeting on April 10, 2018. 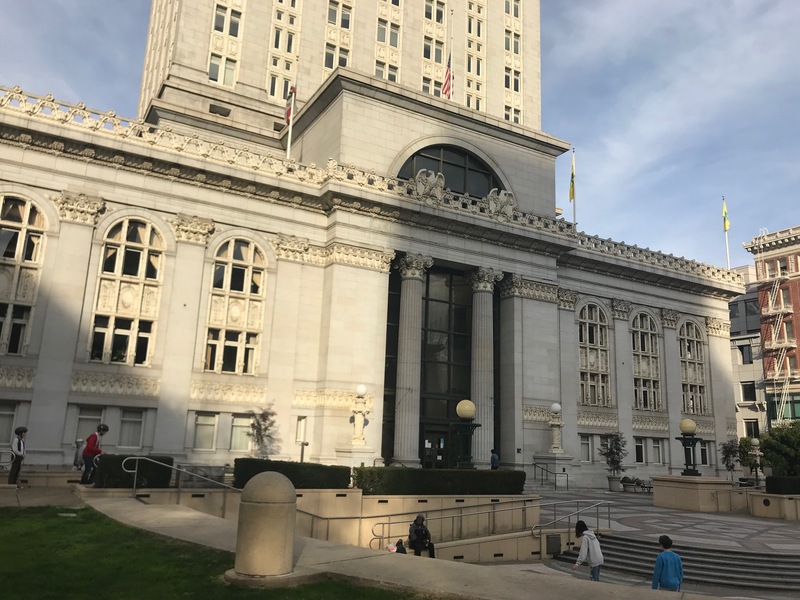 The agenda included endorsers confirming their support for Measure AA and a recommendation from the Office of Mayor Libby Schaaf to adopt a resolution submitting the proposed legislation for the Nov. 6 statewide election. 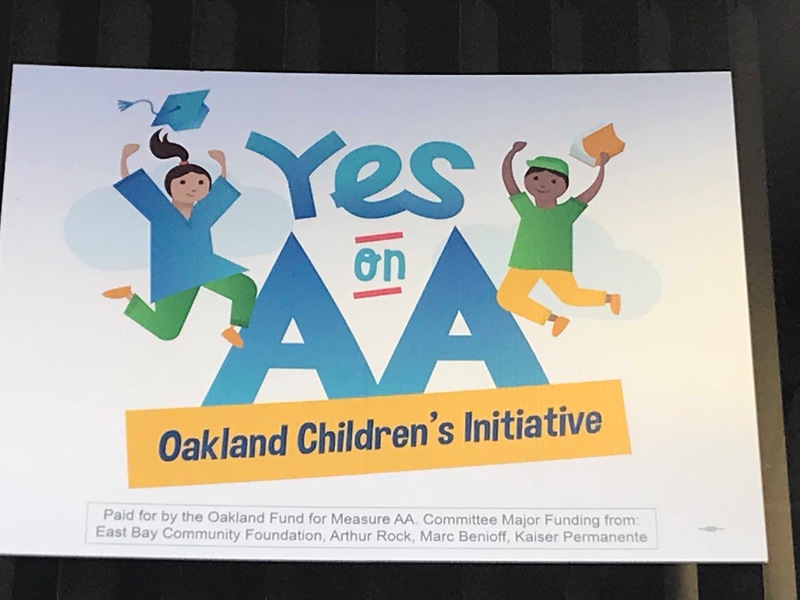 Measure AA, which ultimately did not pass the two-thirds majority needed by voters, sought to expand access to quality preschool education for the city’s low-income children, helping to build a path to higher education. For funding, the initiative included a $198 annual parcel tax for 30 years, estimated to raise $30 million in aid for 10,000 children each year. One hour later, at 3:35 p.m., Jadushlever sent George a prepared statement that she gave the campaign permission to quote from. 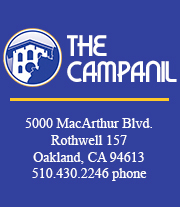 “Mills College supports The Oakland Children’s Initiative,” read the prepared statement. It also affirmed Mills’ support of the Oakland Promise, a public education fund focused on increasing the number of local college graduates. To endorse an initiative or candidate is to give them public approval or support. Campaigns can then use the names of endorsing institutions or people on such things as official mailers, in television and radio marketing, and as part of the official ballot voters receive. Jadushlever said the prepared statement’s emphasis is on the Oakland Promise, since Mills supports and participates in it. For instance, there are Mills-Oakland Promise Scholarships to assist students, based on GPA, from the Oakland United School District (OUSD) that began in the Fall 2018 semester. Jadushlever has been consistent in her statement that her learning of and communication regarding Measure AA began in April. But 13 days before the prepared statement to George, on March 29, 2018, Mayor Schaaf, Vice Mayor Annie Campbell Washington and council member Noel Gallo submitted an agenda report to Sabrina B. Landreth, Oakland City Administrator, listing Mills College as an organizational endorser of the measure. Jadushlever declined to comment on the March 29 agenda report and a subsequent one, dated April 5, that also listed Mills College as an organizational endorsement. “Mills does not lobby for initiatives,” said Jadushlever. “The reason we don’t do this is because [we] could be in jeopardy of losing federal funds.” The College operates with an “abundance of caution” in adhering to IRS guidelines, she added. The IRS does let nonprofit organizations, such as Mills, endorse ballot measures. However, lobbying must be only an insubstantial amount of the nonprofit’s total activities. The IRS and Congress do not define insubstantial or substantial. It depends on IRS assessment of “facts and circumstances” in each situation. Magid explained that one reason educational nonprofits do not tend to endorse ballot measures is because most initiatives do not align well with their mission statements. Once in a while, there is a ballot measure that does and, in these rare instances, they will take a position for or against it. Lobbying has been defined, under the Revenue Act of 1934, as “carrying on propaganda or otherwise attempting to influence legislation.” For instance, if Jadushlever had appeared before the City Council on April 10 to support Measure AA, that would have been considered lobbying. Faculty and staff can endorse ballot measures as individuals. There are no limits unless specified otherwise by a company’s employee policy. Students can engage politically under the same guidelines. As long as this activity is not expressly on behalf of the educational nonprofit, it is not considered part of an IRS assessment under the substantial test. There is also an alternative to the substantial test. Nonprofits can choose to be measured by an impartial expenditure test under section 501(h) by filing IRS Form 5768 Election/Revocation of Election by an Eligible Section 501(c)(3) Organization to Make Expenditures to Influence Legislation. One more reason, according to Magid, that educational nonprofits, like Mills, are not likely to endorse ballot measures is that the structures and processes are typically not in place to make those decisions. “I have never been approached about endorsing a ballot measure,” said Jadushlever. “I worked in the president’s office for seven years, and I don’t not recall a direct request.” She added later there has been no policy because there hasn’t been a reason to implement one. The Peralta Community College District, which operates four community colleges in Alameda County, is one such educational nonprofit that has a process in place for determining whether or not to endorse a ballot measure. The institution is governed by a seven-member Board of Trustees elected by northern Alameda County constituents. Included are two students who only have advisory votes. Usually the decision to endorse or oppose a ballot measure is made by an organization’s governing body, such as a board of trustees. On Nov. 19—13 days after the measure failed to pass—Jadushlever emailed George to remove Mills as an organizational endorser from the Measure AA website. As of Dec. 7, Mills is still listed. “The College follows the practice of not endorsing political candidates, as it could put the institution in jeopardy of losing federal funding. Along those same lines, we have had a practice of not lobbying for or endorsing political initiatives. This is consistent with what many other academic institutions do. Oakland City Council Hall is the seat of government for the city of Oakland, California.